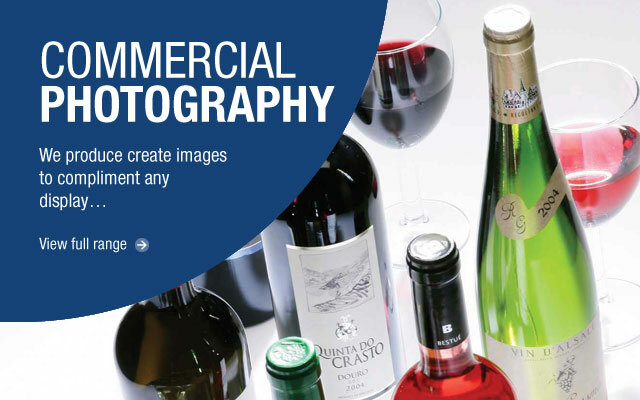 BMS Imaging Photography Ltd are Commercial Studio Photographers in Ipswich. Browse our Studio Photography or Location Photography portfolios to discover how we can help. No matter where you are, our Photographer will provide creative, professional images for brochures, web sites, web shops or exhibitions. We have undertaken Commercial & Advertising Photography in Ipswich & Bury st Edmunds in Suffolk, Colchester in Essex and throughout East Anglia for over 60 years. 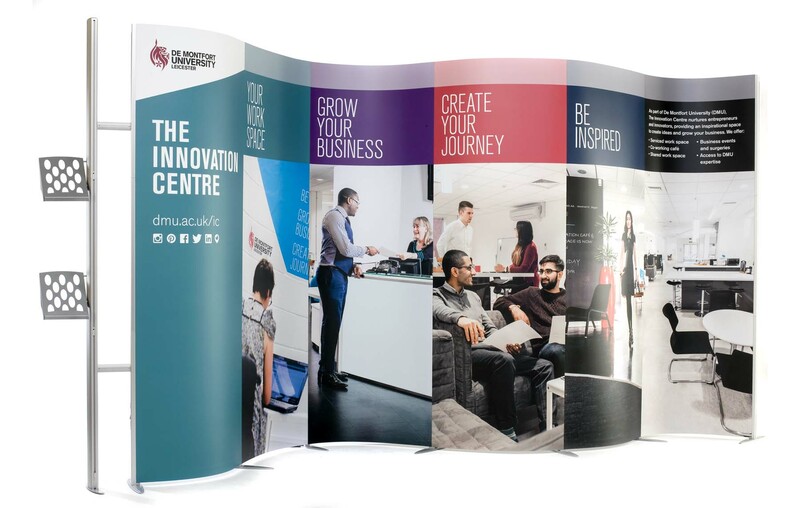 Equally, if you require Exhibition Stands, Pop Up Stands or Pull Up banners, poster printing or outdoor vinyl banners for example, BMS Imaging can provide numerous display solutions. Please browse this site to see the full range of display stands available. Call or contact us for a quote! Once again, Clients are striving to look diiferent from their competeitors at trade shows and indusrty exhibitions and the Isoframe Wave Display system has proved its popularity once again, so for January 2019 it has to be product of the month. 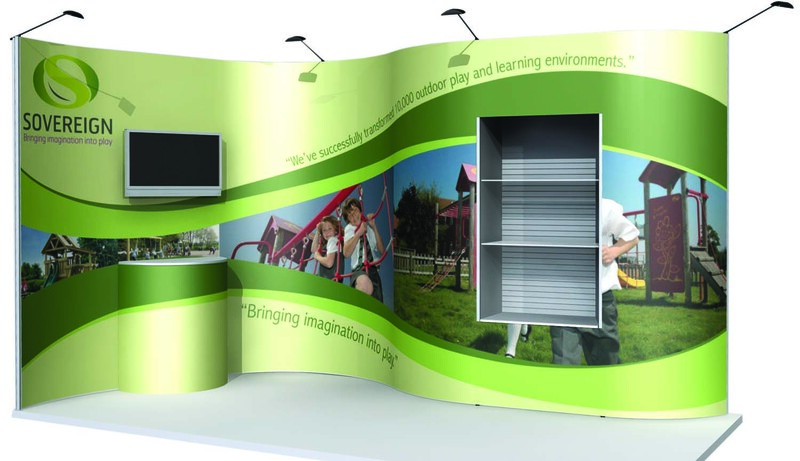 The Wave Display is a system of banner frames that link together in either a rigid or flexible form to allow exhibitors to "bend" the stand in curves or corners to suit the stand space available. 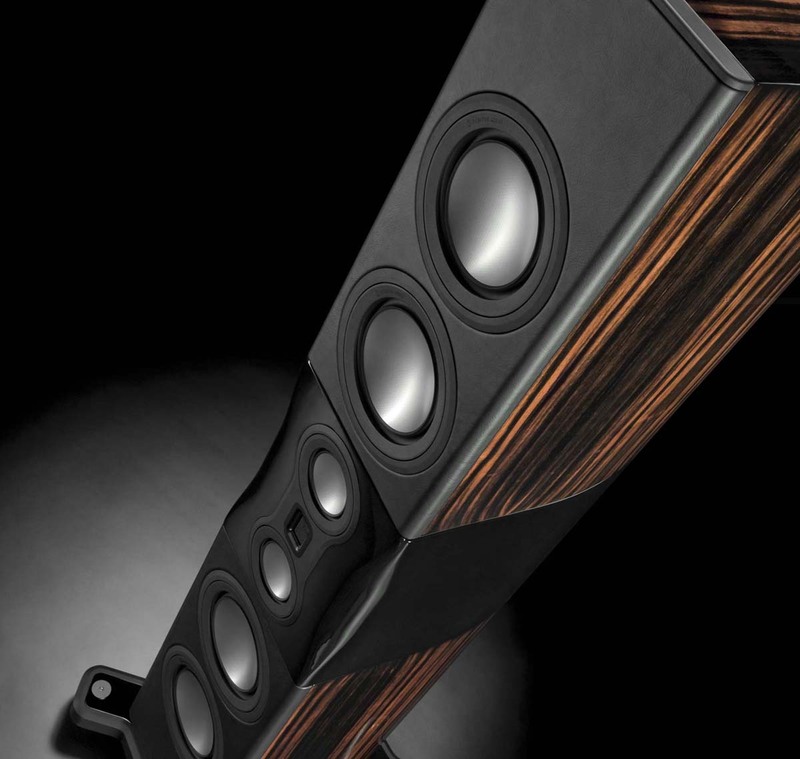 Various tables, TV adapters and shelving units can be integrated to show both graphics, videos and products on the day. We have recently supplied a system for a 6M x 4M stand that will pack down and fit into a fairly standard estate car and can be erected in 90 minutes. Commercial Photography or Business Exhibitions, at BMS Imaging Ltd we are always introducing new choices of display & exhibition systems to our portfolio. 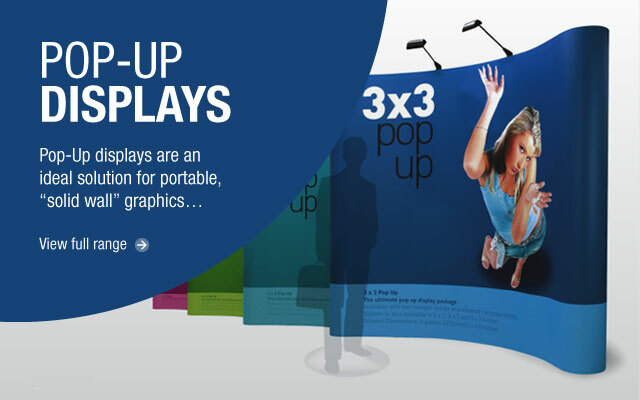 The Isoframe Modular Pop Up Stand is proving popular alongside the recently introduced Isoframe Wave Banner System. The excellent Eurostand E-Style Pop Up stands and Pop Up Counter units continue as best sellers alongside the Modular Centro Modular Display System and i-Pad stands. Pull Up Banners remain a favorite for promotions and exhibitions. 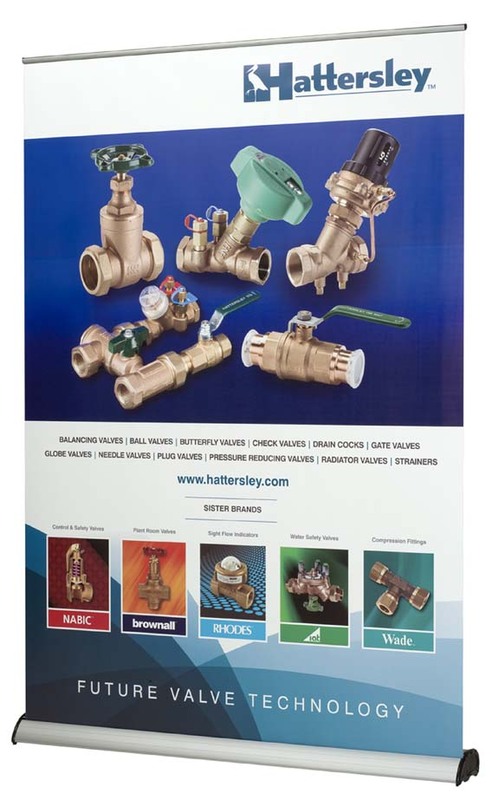 We are continually supplying retail companies with A1 and A0 poster printing. 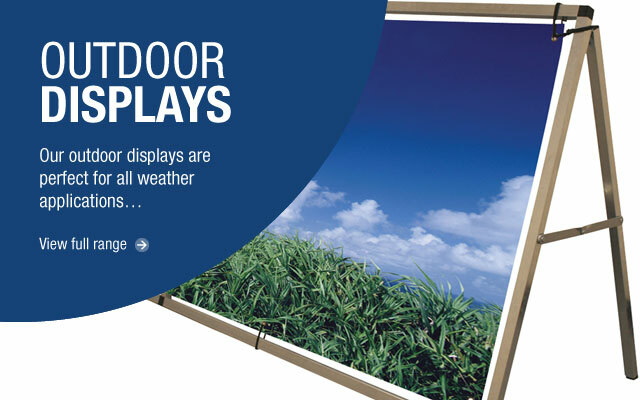 Don’t forget outdoors, it’s all very well to promote inside offices, seminars and exhibitions, but choose from a range of pavement signs, A-Frames, Flags, banners and banner supports to supplement your promotional activity. Our commercial photography studio in Ipswich is continually busy providing creative images for company web sites, brochures and exhibitions. Beside Studio Photography; we carry out Location Photography wherever the work takes us. To view examples of work, visit the photography page of this site. For news of our work at the Classic Rock Awards and other items of interest, please check our news page. 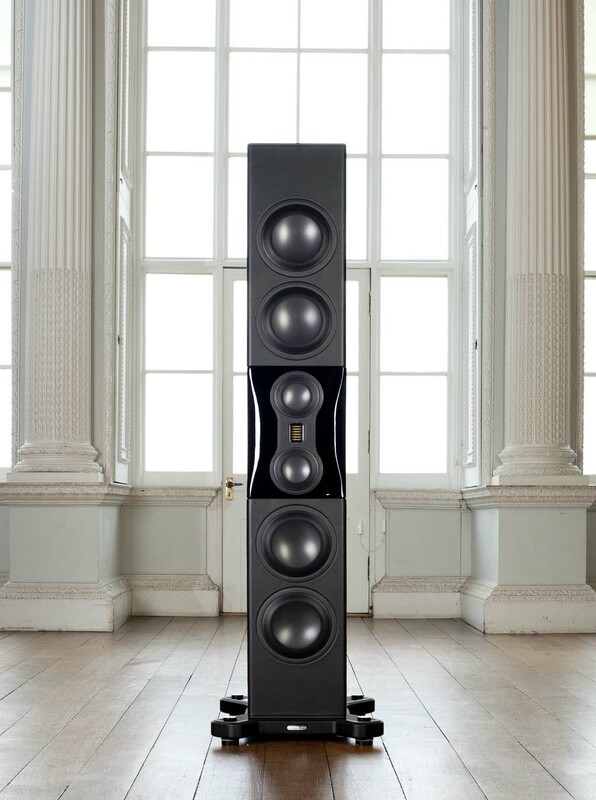 Monitor Audio are a speaker manufacturer from Rayleigh in Essex and I have been proud to have been their photographer for around 17 years now. The images above show a couple of commercial photography shots, one on location in London and one in my studio in Ipswich.